My dreams sometimes include children. But lately there’s been a plethora of children-filled dreams. Dreams that I long to understand and am often sad to leave upon waking. Some mornings I push the snooze button on my alarm and try to return to the dream. My intentional awareness must be what’s been bringing those dreams back to me in flashes of déjà vu for the past week or so. One dream involved a group of children at a boarding school or summer camp. I’m not sure what my job was, but I think I was a teacher or something. But I kept screwing up—getting lost en route to a class, losing students on an outing. Another dream involved a daycare of sorts, and a baby I was responsible for and lost. I’ve abandoned a former habit of writing down my dreams, so I can’t remember the others clearly. But this morning I felt the urge to explore their meanings or messages a bit. 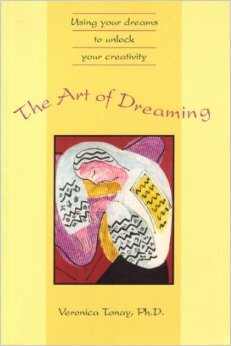 I went to my psychology bookshelf and pulled out the book, The Art of Dreaming: Using Your Dreams to Unlock Your Creativity (Celestial Arts Publishing, 1995) by Veronica Tonay, Ph.D. In Jungian psychology, the child is a potent creative symbol in dreams, representing a new part of the psyche, regeneration, and rebirth. Clinical psychologists notice their clients often dream of children when going through major transitions. Most of my creative clients dream of children when they are about to embark upon a new creative project. This resonated with me immediately… but then I’m almost always about to embark on a new creative project. I’m aware of two such projects which are in the works, but I’m also wondering if writing new scenes for my novel—which I’ve been laboring over revising for months now—isn’t part of this. Creative people who do not become seriously mentally ill (and these are the majority!) tend to be more impulsive, more depressed, and more angry than others…. Paradoxically, though, creative people have more inner resources with which to cope with their inner difficulties…. Creative work provides a means for hurt children to find meaning in their experience and may even provide some protection from emotional instability. Creative people are driven. We are typically less easily satisfied than are other people. We are often ambitious for our work to be recognized by others…. We must develop a lifestyle that allows us to create. Most of this isn’t new information—for me or the general public. Neither is much of what I write about in these “Mental Health Monday” blog posts.” I’m not a mental health professional. I’m just trying to interpret the world for myself and others who might be following a similar path. So what about the significance of endangered children in our dreams? Like the one I lost in last night’s dream? 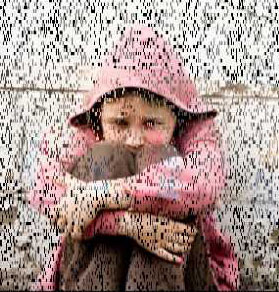 Along with replaying and confronting us with real feelings we felt in childhood… endangered dream children represent us. The child within us accompanies us throughout our lives and can be heard the loudest in those who were emotionally wounded (for example, creative people). The child we were and still are needs our attention, respect, and caring. Again, he or she also needs our willingness to be childlike, because the child can help us to find our creativity…. Endangered dream children indicate that our creativity is right now in danger of being destroyed or hurt. Creative people must take courage to make their creative expression a priority in their lives and must fearlessly protect their creative children. If we do not, we may dream of little ones in danger. What does the dream child need? Is there something I can imagine saying to him or her? Doing for him or her? What action can I take to ensure I get what I need? Stay tuned. And thanks, always for reading. Feel free to chime in. Thank you for your honesty in sharing your dreams and thoughts on them. I wish I had some great wisdom to share, but can only send along my best wishes and hopes for your creative work to keep moving in a positive way. Thanks, Joanne. I think reflecting on the dream helped… I spent 4-5 hours working on novel revisions today. Moving forward!